Some Mexicans consider her a traitor for helping Cortez conquer Mexico, while others view her as a heroine for participating in certainly one of history’s most important events. How do you view her? In fact, Cortez conquered the Aztecs and made allies with most of the other tribes of Mexico. While historians and educators (and Mexicans) consider the Aztecs as some sophisticated almost mystical people, the harsh reality is that they were superstitious blood thirsty pagans who routinely put to death thousands of innocent men, women, and children by cutting out their still beating hearts as offering to the gods in the hope the world wouldn’t end. While the Aztecs might have had a thinly veiled ‘society’ of some sophistication, they regularly taxed all the other people of Mexico at the time so severely that those people were barely able to survive, and in fact in many cases had to give up their children to be sacrificed. As a result all the other people and tribes of Mexico hated the oppressive Aztecs—a fact easily validated by their willingness to ally with Cortez. To say that the Conquistador destroyed Mexico is a questionable belief to say the least, in likelihood he saved and advanced it by eliminating the harsh rule of the Aztecs and liberating the natives from their endless cycle of subjugation, taxation, and sacrifice of their masters. Educators like to teach that the Conquistadors brought death and slavery to the lands they conquered, yet slavery was widespread throughout all the world at that time and the Aztecs practiced it as part and parcel of their society. And most of the death came in the form of smallpox which can no more be blamed on the Spanish as we can blame Africans today for AIDS. 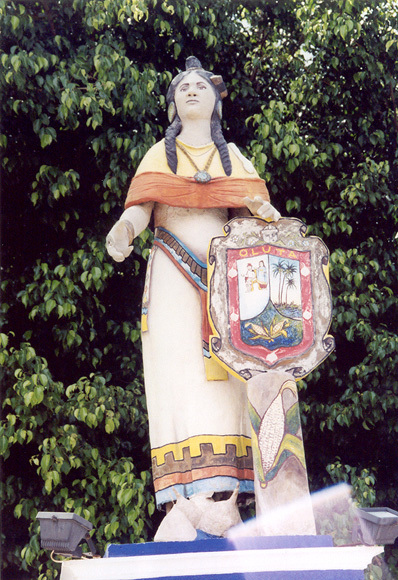 As for Malinche, it is key to remember she was sold into slavery by her own mother at the age of eleven or twelve and passed around as property to various rich masters. By the time Cortez landed in Mexico she was still only 15 or 16 years old, a teenager at best. Then she was given to the Conquistador as a gift! How many teenagers today could have endured being sold by their mother, forced into slave labor, and then given to a strange creature from another place? But Malinche not only endured, she prospered! At the right moment Malinche seized an opportunity to make herself an invaluable tool to Cortez serving as translator. In this capacity she shaped the history of Mexico, many times acting as diplomat, strategist, and even de facto ruler—all while a teenage girl! In our view Malinche is one of the greatest heroines of all time and surely the most unsung one.